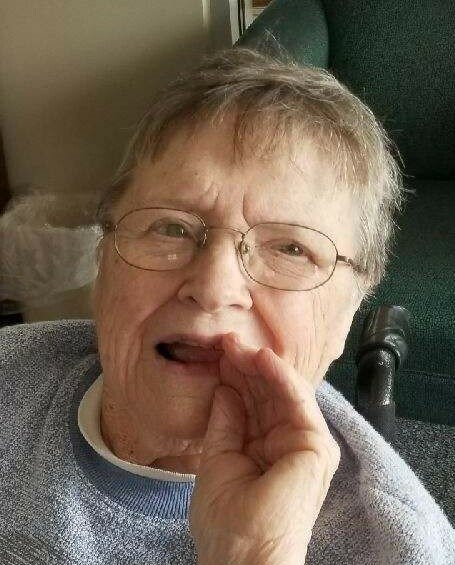 Margie Blondell “Roberts” Behrendt, 85, of Symsonia passed away on Tuesday, August 14, 2018 at her daughter’s home under the care of Lourdes Hospice. Blondell was born on February 27, 1933 in Marion, Kentucky. She was a retired teacher. She taught at Shady Grove in Crittenden County and Jefferson Grade School in Metropolis, IL. Her passion was playing duplicate bridge and caring for her grandchildren. Surviving are her children, Arletta (Roger Rives) Kennedy and B.F. (Lisa) Behrendt; one sister, Virginia Swager of Kirksey, KY; her grandchildren, Brian (Leslie) Behrendt and Lindsey (Adam) Hill; her great-grandchildren, Avery, Aubrey, Rowen, Carson; and many nieces and nephews. She was preceded in death by her husband, Bernie Behrendt; her parents, George and Allean Roberts; one granddaughter, Allison Behrendt; and four siblings. She will be cremated per her wishes, no visitation or service will be held. Memorial contributions may be made in her honor to the Alzheimer’s Association at 225 N Michigan Ave. Floor 17 Chicago, IL 60601.